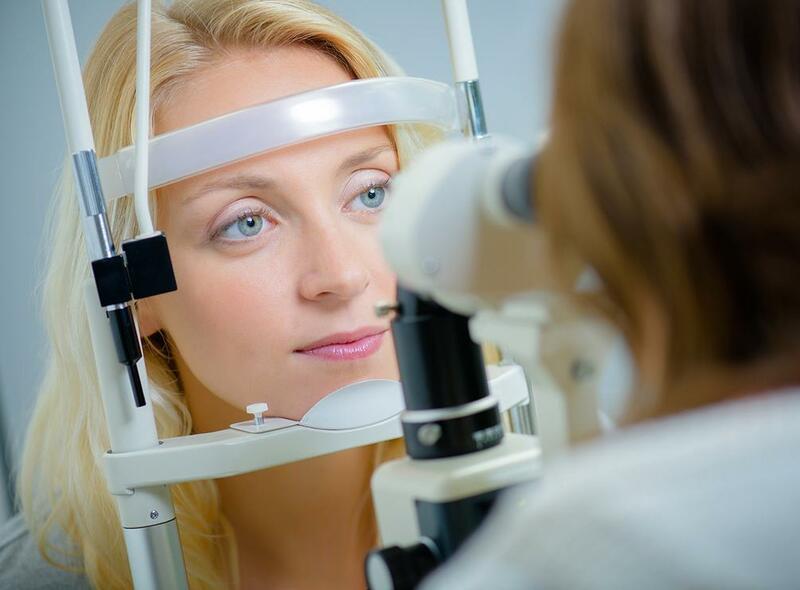 To maintain clear vision and ensure a lifetime of good eye health, it’s important to visit a trusted optometrist in Newington, VA.for a comprehensive eye exam. These exams are critical in the prevention of a variety of eye diseases and conditions that do not always have obvious signs or symptoms, especially in the early stages. With a thorough eye examination and early diagnosis on your vision problems, you’ll be able to promptly receive the necessary treatment, which in turn could potentially help save your eyesight. If this is your first visit to an optometrist, you’ll need to prepare accordingly. Your eye doctor will be asking a lot of questions about your medical and family history, plus other related information. As they review your personal and family health, they’ll be focusing on any history of eye problems, which could help them pinpoint the cause of various eye problems and conditions. This will also helps them determine if further testing is required to rule out certain eye conditions which could also be a symptom of another disease altogether. Once they’ve pinpointed the cause, they’ll be able to suggest the appropriate solution. 1. Know your history. What eye or vision problems are you experiencing? When did these issues begin? These are just some of the questions your optometrist will be asking you during the actual visit, so it pays to be prepared with answers. You’ll also want to inform them of any medications you may be taking, as well as any work-related or environmental conditions that may be affecting your vision. As mentioned above, they’ll also ask you about previous eye conditions you or your family members may have experienced in the past. 2. Avoid looking up your symptoms on the internet. Self-diagnosis isn’t just misleading, it can also be unnecessarily stressful. If you want to determine the actual cause of your eye problem and its solution, a visit to a premier eye doctor in Woodbridge, VA is the way to go. 3. Look for a good eye doctor. Choosing the right specialist is actually fairly stress-free. One good way to start your search is by talk to your general physician, who’ll have the names of eye specialists in your area. They’ll be able to refer you to one who’ll be a good fit for you. You can also ask family, friends and co-workers for potential names. The people close to you who wear prescription glasses all have eye doctors, after all, so they should be able to refer you to someone. Finally, you can check with professional organizations, such as the American Academy of Ophthalmology or the American Optometric Association. Their websites will have search tools that can help you find a good eye doctor in your area. Pro-Tip. As you narrow down your choice of eye doctor, make sure to check with your insurance network to ensure your eye care needs are actually covered. In fact, your insurance agent may be able to give you a few leads in finding a good eye doctor. 4. Learn to distinguish between the different types of eye doctors. There are three types of eye specialists: ophthalmologists, opticians and optometrists. Ophthalmologists have a medical degree specializing in the eyes. In addition to prescribing contacts and glasses, they can also diagnose and treat eye diseases and perform surgeries. Opticians, on the other hand, don’t perform vision tests or eye surgeries, but they do specialize in corrective lenses to help you achieve the clearest vision possible. Optometrists perform vision tests and prescribe corrective eyeglasses and contact lenses in Gunston Heights, VA. While they don’t perform eye surgeries, they can determine if you’re a possible candidate for them. Optometrists can also provide pre- and post-operative care. Doctor of Optometry (OD) degree. This gives them license to examine your eyes for both vision and health problems, plus correct refractive errors by prescribing contact lenses and eye glasses. Some can also prescribe medications to help treat specific eye problems and diseases. They are government-registered, so the scope of the medical care is determined by state law. 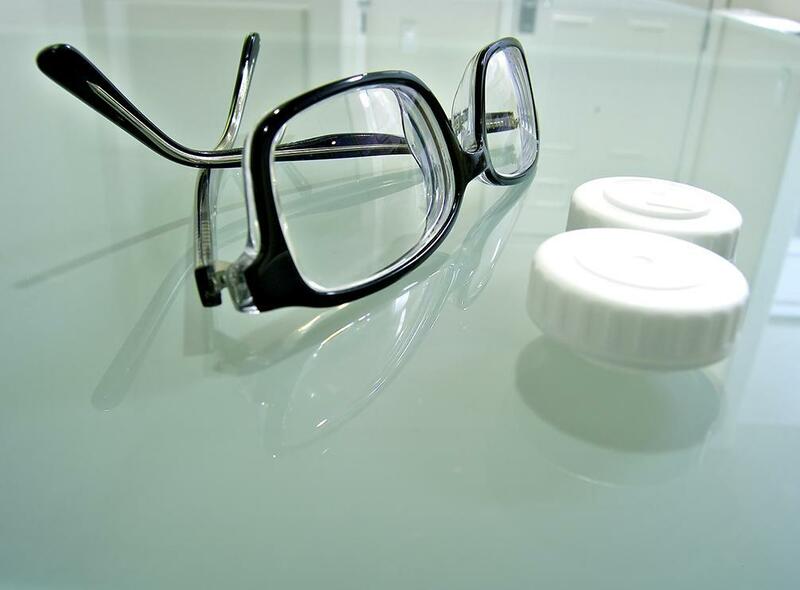 Your optometrist should also be very familiar with current health and safety regulations. Commitment to continuing education. To maintain their license, your Lorton, VA optometrist is required to fulfill continuing education and training requirements. Because optometry is an evolving field, it pays to choose an eye doctor who stays current with the latest standards, technological advances, research and techniques. Expertise. You’ll want to choose a highly experienced optometrist who can perform the more delicate clinical techniques with dexterity. They should have remarkable attention to detail, allowing for more accurate diagnosis and treatment of specific eye diseases and conditions. Additionally, your eye doctor should have the necessary scientific aptitude for remembering significant information about the eye and its relation to the human body. Superior communication skills. 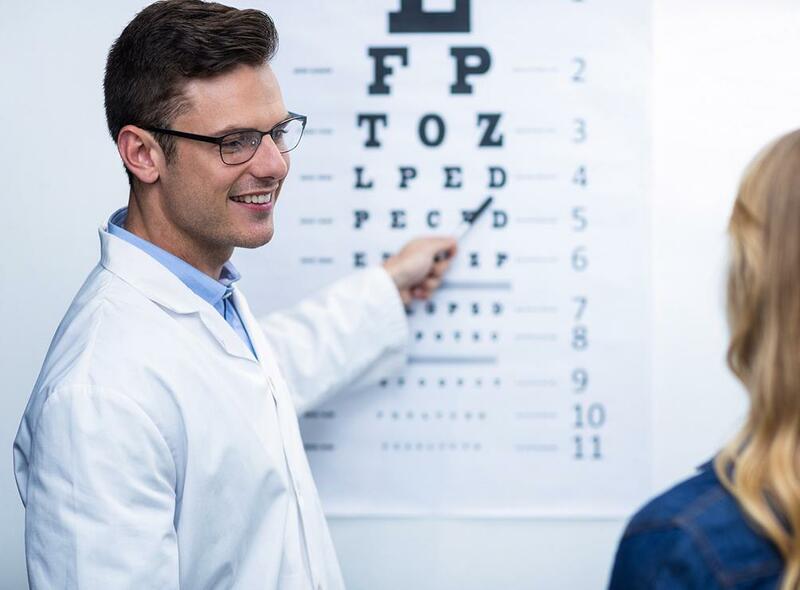 Given that optometrists deal closely with their patients, just like most other medical professionals, it pays to choose an eye doctor with strong communication skills, tact and empathy. 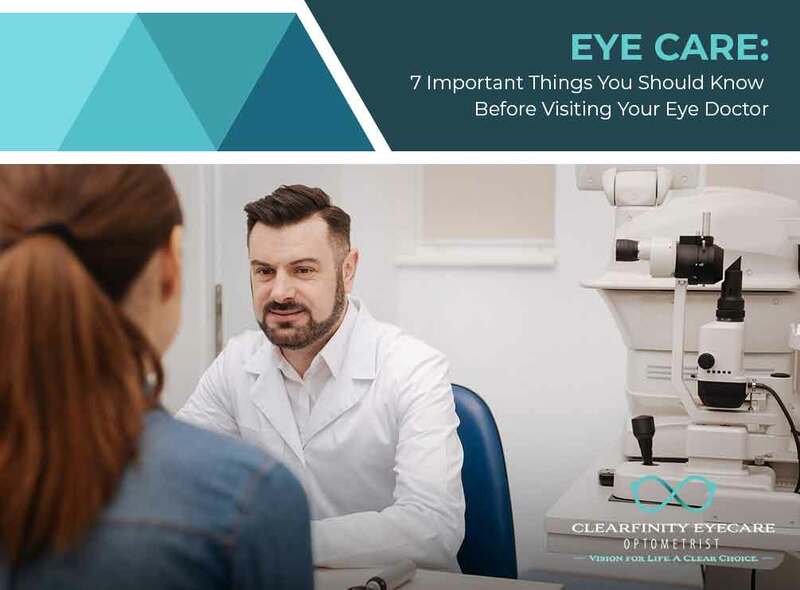 This way, you’ll be able to establish a connection that allows for clear doctor-to-patient communication, which will enable your optometrist to explain problems and treatments to you more clearly. Personalized service. For greater peace of mind, choose an optometrist with friendly, experienced and educated staff. Not every eye care patient is the same, after all, and competent staff will be able to assist the eye doctor in ascertaining the best service to fit your specific needs. Advanced medical equipment and high-quality eye care products. 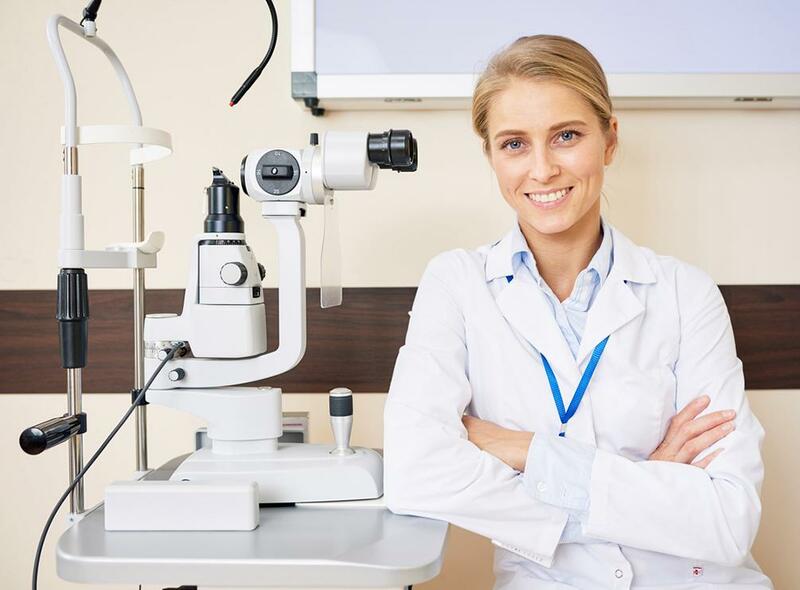 Make sure to choose an eye doctor who uses state-of-the-art equipment for better and more accurate detection and diagnosis of potential eye conditions. Take a closer look at their eye care products, as well. Their prescriptive contact lenses and eyeglasses in Woodbridge, VA should be of high quality, allowing you to enjoy better vision without compromising your comfort and personal style. One of the most popular lens options today are Scleral RGP (rigid gas permeable) contacts, Typical patients who use these lenses are those with moderate to advanced keratoconus, pellucid marginal degeneration and corneal trauma (to an extent), as well as patients that have had refractive keratotomy surgery. Most optometrists offer a wide selection of frames to choose from which are customized to fit your personal needs. Many even have multiple designer brands to choose form. Of course, before you get to pick your contacts or eyeglasses, your vision should be examined thoroughly by your optometrist. 6. Prepare yourself. Some patients get stressed when planning a visit to the eye doctor. To prevent this, take along someone you trust who can listen and ask some of the questions for you. If you’re nervous, prepare some questions; the more you have, the more informed you’ll be. Make sure to call and schedule an appointment as soon as possible, especially when your vision problems are urgent. If they are, stress the urgency of your problem. During the call, ask whether they accept your insurance and they’re in-network. How you are billed for your visit is affected by this. Just to be on the safe side, bring your insurance card and ID with you. These are essential to documentation if you’re a new patient. Color blindness. This checks your color vision and is performed early to rule out color blindness. Aside from identifying hereditary color vision deficiencies, this test also alerts your optometrist to possible eye health issues that may affect how you see color. Cover test. This involves alternately covering each eye and focusing on a small object across the room. This is repeated with you looking at a near object. Your eye doctor will check if your uncovered eye moves to fix on the object, which may indicate strabismus or a binocular vision problem that causes eye strain or amblyopia (lazy eye). Ocular motility. This test helps determine how well your eyes can follow a moving object across the room. Issues with eye movement can cause eye strain, while also affecting reading ability, sports vision and other skills. Visual field. This test checks for loss of side vision, which is a common sign of glaucoma. Retinoscopy. This test involves focusing on a large target in a dim room. Your eye doctor will shine a light at your eyes and flip lenses in a machine in front of them. This estimates which lens power can best correct your distance vision. Refraction. This one identifies your level of refractive error and helps determine your exact eyeglass prescription. Glaucoma test. This involves measuring the pressure inside your eyes to test for possible glaucoma. High eye pressure means an increased risk of this eye disorder. Pupil dilation. This test involves instilling dilation drops to enlarge your pupils. Your eye doctor will then use various instruments to look inside your eyes, helping determine risk factors for eye diseases. It also allows for a more thorough evaluation of your eyes’ health. A visit to your eye doctor doesn’t need to be intimidating. Learning how to prepare and plan ahead can help put your mind at ease so you can get the most out of your eye exam. Clearfinity Eyecare Optometrist provides only the highest quality eye care and vision correction services in Lorton, VA and the surrounding areas. Schedule your consultation by calling us today at (703) 291-0485.